Update 0.6.15 will bring a new operation—”Operation Narai”—to the game. This will be restricted to Tier VII ships. You’re going to encounter several hostile warships and an enemy aircraft carrier. The enemy is expecting you and has powerful reserves located deep inside the bay. Commanders, we’ve got a brand new Port waiting for you—Hamburg! It will be enabled by default for all players with the release of Update 0.6.15. The new Port is distinguished with its historical authenticity, and once the update is installed, it will join the list of other ports generally available to players. When the Update goes live, players will be able to test their skills with two new campaigns. 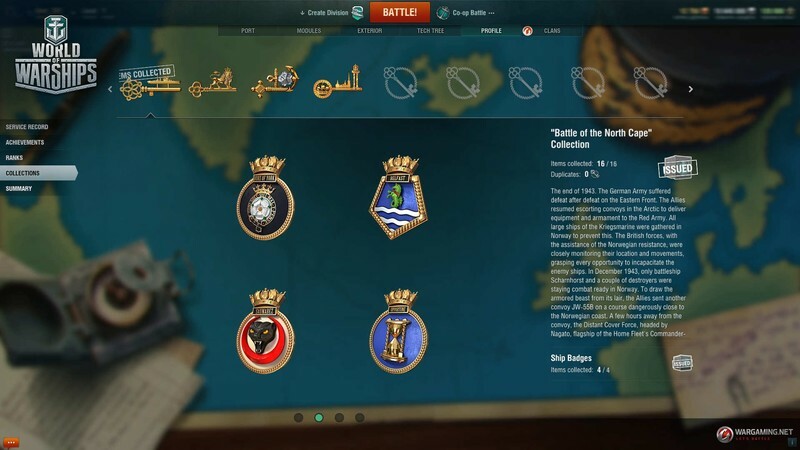 One of the campaigns will be dedicated to a historical event, the Battle of the North Cape, while the other new campaign, “New Year Raid”, will be putting a festive spin on things. Both campaigns will be available for a limited time only. Your reward for completing the final task of the first campaign, the Battle of the North Cape, will be the Tier VII Premium British battleship Duke of York. The successful completion of the New Year Raid campaign will bring you five researchable Tier VI ships with unique camouflage while the final task, once finished, brings an Arctic-themed camouflage for the Tier VII German battleship Scharnhorst. Once Update 0.6.15 is released, players will be able to start collecting items from the new collection dedicated to the Battle of the North Cape. Collection items will include ship elements, photographs, badges, and coats of arms. 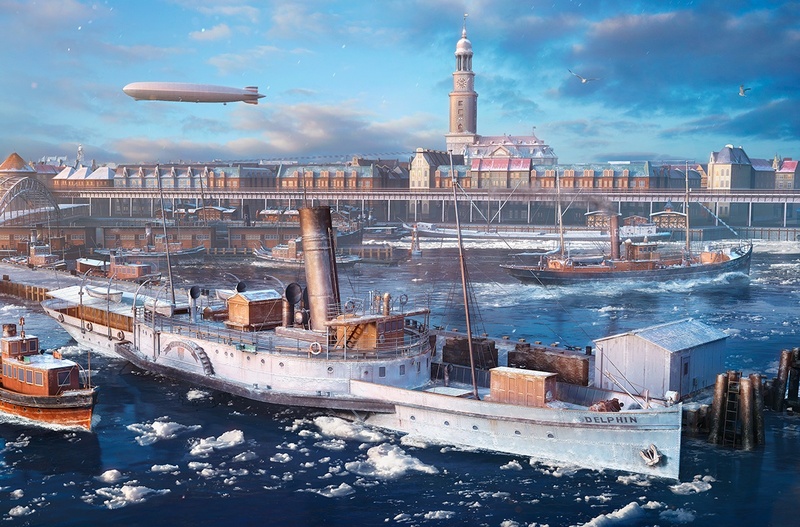 Collection items will come in special Containers that players will receive for completing the tasks of the Battle of the North Cape and New Year Raid campaigns. Once you have the entire collection, a special Arctic-themed camouflage for the battleship Duke of York will be credited to your account. To add even more fun to the fast-approaching New Year celebrations, we’re adding a ship horn that will produce a special New Year inspired sound! Throughout the duration of the New Year festivities, all Captains will be able to warn other players of the risks of a collision, other dangers, or a torpedo salvo. We thank all our players that provided feedback and requests while we worked on this new feature. By default, a ship’s horn is activated by pressing the “N” key. The sound signal can be heard by all players located at a sufficient distance from the ship of the player sounding the horn. The shorter the distance, the louder the horn. As for the horn signals produced by enemy ships, only the sounds of detected enemy ships will be audible to players. Within one or two km distance, the horn signal loudness will be set to maximum. At 3-5 km, the sound starts to fade away, and at 5 or more km the sound of the horn signal will be barely audible. If a ship is located farther away, it may only be heard when detected in the binocular view. To discourage Captains from abusing the new feature, the ship horn will have a limited operation time. The maximum operation time is 4 seconds. 15 seconds after the last key has been pressed, the operation time begins to recover and, if the signal has been “used up” completely, the maximum recovery time will be 45 seconds. It will be possible to use the horn before it has reached 100% recovery. If you find the sound of the horns are not to your liking or you don’t want to hear them, you can disable sounds completely in the Audio settings. 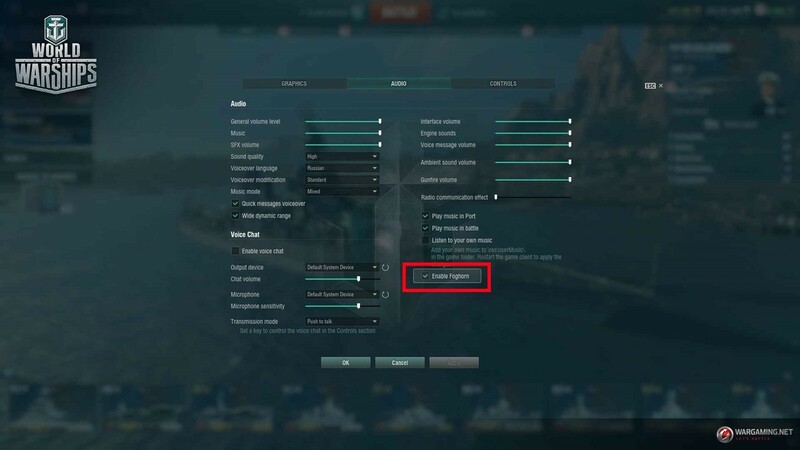 To do that, access the Game Menu, select the “Settings” tab, open the “Audio” section and untick the “Enable ship horns” field. Please note that if a ship’s horn sound is disabled in Settings, your ship will not be able to send signal sounds either. Ships of different types will have different sound signals. You may encounter 23 original horns and several unique sounds. Play with various ships to try them all. In any case, we’re sure you’ll like them. We look forward to them being used creatively! We have reworked the bomb attack scenes involving Graf Zeppelin’s Stuka aircraft to make them more realistic. Now, when bombs are dropped, the Captains of Graf Zeppelin and all nearby ships will hear the distinctive and terrifying screech of the Stuka siren. We have also reworked the accompanying sound pattern for each type of squadron, reproduced during approach for landing. If the carrier Graf Zeppelin is on the opposing team, you’ll be able to hear an enhanced sound of its squadrons flying by your ship. With the release of Update 0.6.15, clan battles will no longer be available. The first season is coming to an end but don’t worry – the next one is on the horizon! All previously rented ships, i.e. 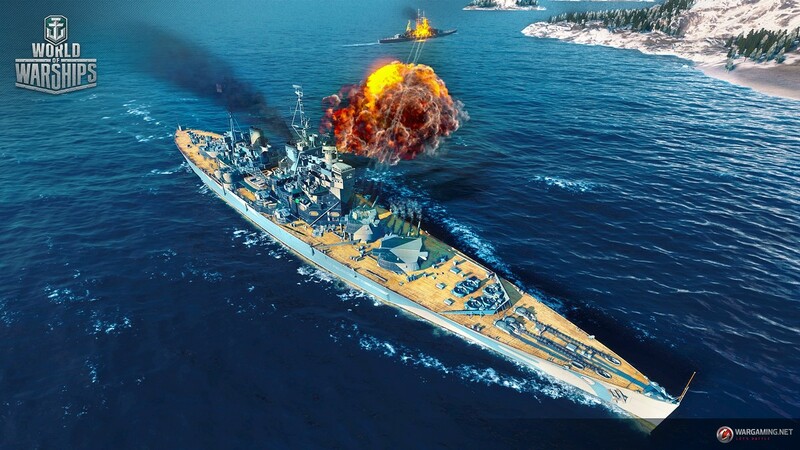 the Soviet Cruiser Moskva, the American Destroyer Gearing, and the Japanese Battleship Yamato, will be removed from players’ accounts. After the rental ships Moskva, Gearing and Yamato are written off accounts, their Commanders are placed in the Reserve and their skill points are reset. In Update 0.6.15, you’ll be able to respec those Commanders anew. A Commander recruited for a rented ship will have their specialisation changed for the starting ship of the respective nation. Hotspot Rank first to sixteenth in the Typhoon League in the first season of clan battles. Gale Win 7 battles in the Gale League or higher during the first season of Clan Battles. Typhoon Win 7 battles in the Typhoon League during the first season of Clan Battles. Squall Win 7 battles in the Squall League or higher during the first season of Clan Battles. Storm Win 7 battles in the Storm League or higher during the first season of Clan Battles. Please note that achievement Hotspot is given to all members of the clan only if the Typhoon achievement is on the account. The same achievements will be displayed on a clan’s Rostral Column if the clan has complied with the aforementioned conditions and purchased the Rostral Column. The cost of the Rostral Column was changed from 9,999,999 to 100 Oil. Achievements will be credited to players’ accounts within one week following the release of Update 0.6.15. 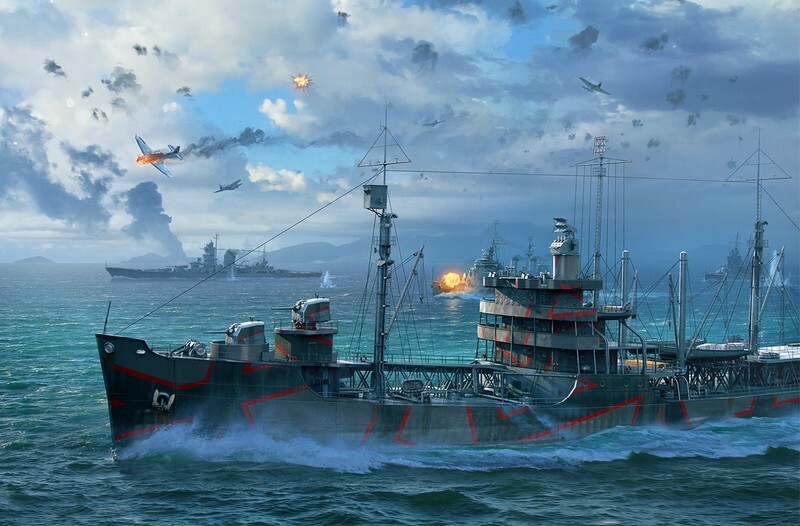 During a five-day period, all players will be able to reset the skills of their Commanders and change upgrades on the ships they helmed in Clan Battles for free. There is a 100% discount on resetting Commander skills and demounting upgrades! Captains, get your favourite Tier VIII ships prepped and ready for a new season of Ranked Battles starting on 22 December. Every participant of a Ranked Battle is awarded a star for every victory their team achieves. A star is lost in case of a defeat, although the top XP earner of the defeated team will not lose a star. 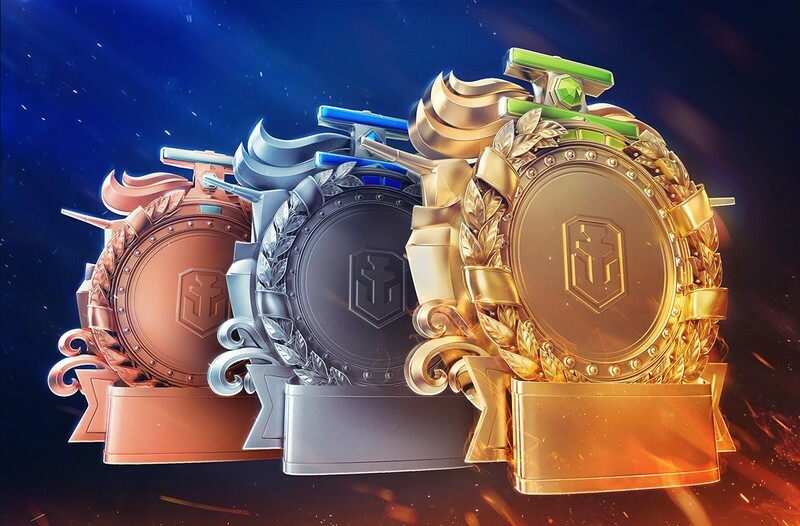 Players get rewards for each rank they achieve. There are 23 ranks separated into five leagues: Third League, Second League, First League, Premier League, and the League of Sea Wolves. All league matches will be Tier VIII. Type 9 (Mikasa, Ishizuchi, Katori, Y?bari, Iwaki Alpha, Tachibana, Tachibana Lima, F?jin, Kamikaze, Kamikaze R, Arkansas Beta, Texas, Albany, Marblehead, Marblehead Lima, Smith, Imperator Nikolai I, Oktyabrskaya Revolutsiya, Aurora, Diana, Murmansk, Diana Lima, Oleg, Krasny Krym, Gremyashchy, Okhotnik, König Albert, Emden, Campbeltown, Giulio Cesare, and Vampire). Type 10 (Kaga, Mutsu, Ashitaka, Kii, Atago, Shinonome, Saipan, Enterprise, Arizona, Alabama, Atlanta, Flint, Indianapolis, Sims, Kidd, Admiral Makarov, Molotov, Mikhail Kutuzov, Leningrad, Graf Zeppelin, Scharnhorst, Tirpitz, Admiral Graf Spee, Warspite, Hood, Nelson, Belfast, Gallant, Huanghe, Loyang, Dunkerque, De Grasse, B?yskawica, Duca d’Aosta, and Perth). Type 16 (Ryujo, Fuso, Aoba, Fubuki, Hatsuharu, Independence, New Mexico, Cleveland, Farragut, Budyonny, Gnevny, Bayern, Nürnberg, Ernst Gaede, Queen Elizabeth, Leander, Fushun, and La Galissonnière). Type 12 (Fuso, Minekaze, Cleveland, Farragut, Budyonny, Podvoisky, Gnevny, Bayern, Admiral Graf Spee, Nürnberg, and Leander). Type 12 – China (Fuso, Farragut, Budyonny, Bayern, Tirpitz, Admiral Graf Spee, and Leander). Congratulatory (New Orleans, Kiev, Z-23, Monarch, and Charles Martel). Adler (Graf Zeppelin, Prinz Eugen). Stars and Stripes; The Lone Star (Texas). Lá Fhéile Pádraig 2017 – Emerald Edition (Emerald). The Type 10 permanent camouflage (Missouri, Black) will provide -20% to the cost of the ship’s post-battle service. Type 17 (Hiryu, Nagato, Myoko, Akatsuki, Shiratsuyu, Ranger, Colorado, Pensacola, Mahan, Shchors, Minsk, Gneisenau, Yorck, Leberecht Maass, King George V, Fiji, Gadjah Mada, and Algerie). Type 10 (HSF Admiral Graf Spee, HSF Harekaze). W207 (HSF Admiral Graf Spee). “From the Bottom of the Ocean” and “The Last Conquest” (Hood). Type 18 (Shokaku, Amagi, Mogami, Akizuki, Kagero, Lexington, North Carolina, New Orleans, Benson, Chapayev, Ognevoi, Kiev, Bismarck, Admiral Hipper, Z-23, Monarch, Edinburgh, Hsienyang, and Charles Martel). “Blue Fjord” and “Magnu-S” (Tirpitz). “From the Bottom of the Ocean”, “The Last Conquest” and Varg (Bismark). Type 19 (Taiho, Izumo, Ibuki, Y?gumo, Essex, Iowa, Baltimore, Fletcher, Dmitri Donskoi, Udaloi, Tashkent, Friedrich der Große, Roon, Z-46, Lion, Neptune, Chung Mu, and Saint-Louis). Type 20 (Hakuryu, Yamato, Zao, Shimakaze, Midway, Montana, Des Moines, Gearing, Moskva, Khabarovsk, Grozovoi, Großer Kurfürst, Hindenburg, Z-52, Conqueror, Minotaur, Yueyang, and Henri IV). Camo designed by Makoto Kobayashi (Ashitaka, Kii). Clash of the Elements (Kamikaze R). Update 0.6.15 will bring a lot of new tips that will appear in the battle loading screen. This will help with the influx of new players to the game and provide a better experience for all players. We added tips related to the operation of aircraft carriers, the use of various consumables like Surveillance Radar and Defensive AA fire, and the location of the most efficient fire points for various types of ships. A hint will now appear for new players with Service Record level below eight to inform them of the possibility to fire in the binocular view. If a player has been in the binocular view for too long, a tip will pop up with a proposal to exit the binocular view mode and look around. The carousel will have a new filter to enable search by the second word in a ship’s name. Now, the carousel search function allows searching for a particular ship by any of the two words in the name of a given ship. After a player’s ship has been destroyed and the player shifts to the ship of a teammate, the marker of deepwater torpedoes will now be displayed correctly depending on the type of ship that the player has switched to. Minor changes in ships’ geometry and textures: Taiho, Kidd, Akatsuki, Colorado, G-101, Hood, New Orleans, and Huanghe. We fixed minor bugs in the tech specs of various ships with minimum impact on the ships’ combat characteristics. New Orleans: The range of detectability by air when firing the guns increased from 4.02 km to 4.06 km; detectability after firing main guns in smoke reduced from 7.05 km to 6.62 km. Indianapolis: Detectability after firing main guns in smoke reduced from 8.18 km to 7.26 km. T 22: Detectability after firing main guns in smoke reduced from 2.26 km to 2.08 km. Ernst Gaede: Detectability after firing main guns in smoke increased from 2.9 km to 3.23 km. Mogami: The penalty to the detectability range by air when firing guns increased from 3.1 km to 4.06 km for Hull (A). Iwaki: Detectability after firing main guns in smoke reduced from 4.71 km to 4.29 km. Novik: Detectability after firing main guns in smoke reduced from 3.74 km to 3.38 km. Bogatyr: Detectability after firing main guns in smoke increased from 4.21 km to 4.6 km; standard artillery gun icons are positioned more accurately; penalty to the detectability range by air when firing guns increased from 2.6 km to 3.04 km. Chengan: Detectability after firing main guns in smoke increased from 2.19 km to 2.31 km. Yueyang: Detectability after firing main guns in smoke increased from 2.62 km to 2.77 km. Phoenix, Benson, Dmitri Donskoi, and Myogi: To make gameplay more comfortable, the chance of catching fire for Hull B was slightly decreased to bring it in line with that of Hull C.
Arkansas Beta: Added an option to mount the Damage Control System Modification 2 upgrade. Fixed a rare bug which made it impossible to accept new players to a Clan even if it had vacant places. Fixed a bug which caused incorrect information to be displayed via system message when respecing a Commander after the relevant ship is removed from an account. Fixed a bug which caused the characteristics of Commander skills not yet mastered to be displayed incorrectly. Fixed a bug that caused free space in the Reserve to be computed incorrectly after hiding ARP ships. French Tier III battleship Turenne. French Tier IV battleship Courbet. French Tier VIII battleship Gascogne. French Tier IX battleship Alsace. 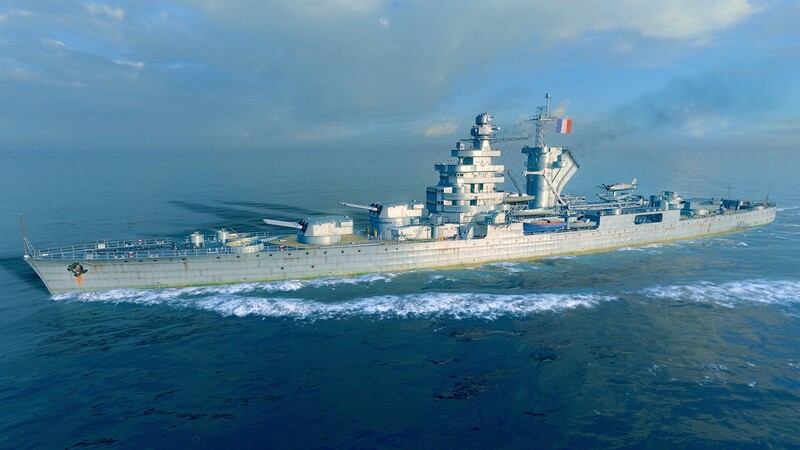 French Tier X battleship France. MAKAROV! FINALLY SHE IS NO LONGER AN INTERNET PROVIDER EXCLUSIVE! Perth is back on sale…..